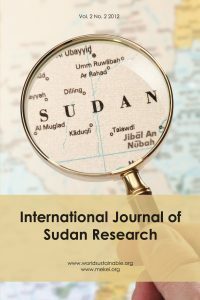 Purpose: A field experiment was carried out at the Demonstration Farm of the Faculty of Agriculture, University of Khartoum at Shambat to investigate the effect of chicken manure and sowing methods on alfalfa (Medicago sativa L.) cultivar “Hegazi” growth, forage yield and some quality parameters. Design/methodology/approach: The treatments consisted of four levels of chicken manure; namely, the control, 2.5, 5 and 10 tonne ha-1, and two sowing methods, viz., flat plots and ridges. The chicken manure was applied three weeks before sowing and irrigation water was immediately applied. The experiment was laid out in a split-plot design with three replicates. Levels of chicken manure were assigned to the main plots and sowing methods to the sub-plots. Data were collected on plant height, stem diameter, leaf area index (LAI), forage fresh and dry yields, crude protein and fibre contents. Findings: The results showed that chicken manure and sowing methods led to a significant (P£ 0.05) positive effect on all studied parameters during at least one harvest, except for the effect of chicken manure on forage fresh yield. The treatment 5 tonne ha-1 significantly (P£ 0.05) increased plant height, stem diameter, LAI, forage dry weight and crude protein content. The flat sowing method was significantly (P£ 0.05) superior over the ridge sowing method in stem diameter, LAI, and forage fresh and dry yields. The study indicated the importance of chicken manure for alfalfa, especially when the crop is grown in flat plots under environmental conditions similar to those in the Shambat area.